I can’t get enough of my coral branch necklace. 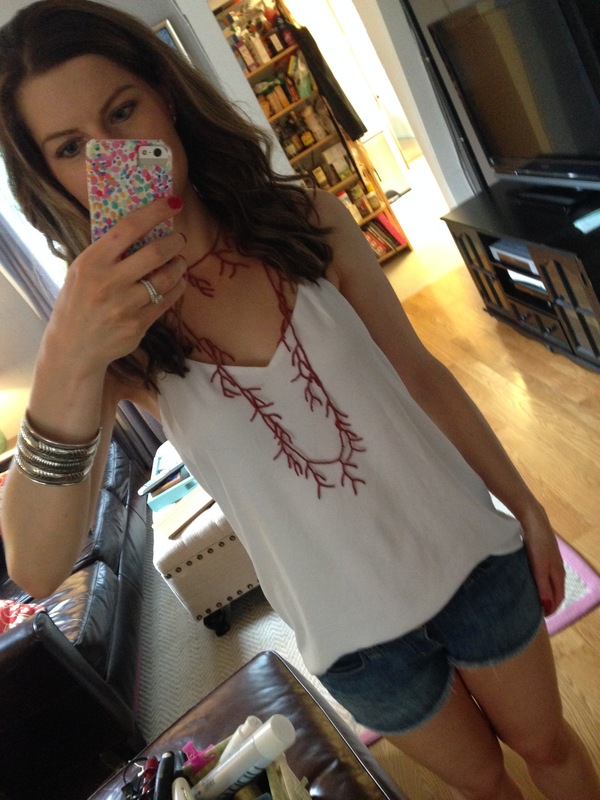 One of my favorite purchases that I’ve made this summer is this coral branch necklace from ZAD jewelry. I love that it reminds me of the beach without being cheesie or cheap looking. I’m trying to find a cute thermal I could pair it with around Christmastime. In this picture, I paired it with an old pair of jean cutoff shorts and a white tank from Express that’s sold out. Another 6pm.com purchase that can be worn almost any time of year. That necklace is so cute Katie! It looked awesome on Block Island!